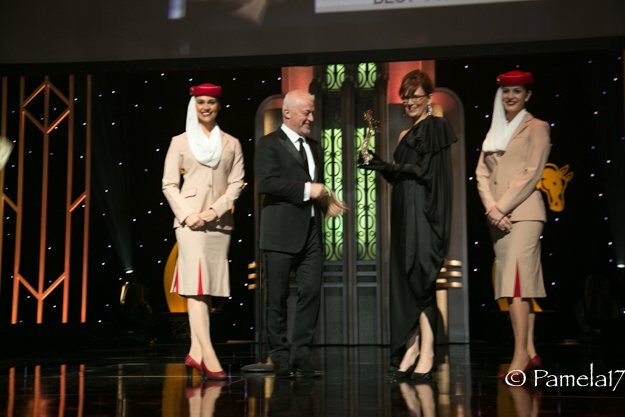 8 April 2017, USA ~ Debbie, congratulations on winning the 2016 HH Sheikha Fatima Bint Mubarak Darley Best Photographer Award. Could you share with us more about your creative process and your goals? HR: We know you are a sculptor, journalist, and photographer. What other art forms occupy your days? Any favorites? What are your fav subjects for creation besides horses? DB: Growing up as an only child, living in the middle of a wood with only two elderly neighbours, it was an environment that fostered a creative mind. My primary school also had a very creative element to it, as we were encouraged to write plays, poetry, stories, create sculptures and paintings from the age of about 7. In fact I won my first writing award at that age. I studied photography at school and was given some darkroom equipment, so I also developed and printed black and white pictures at home, though when I went to art school, it was to study painting, not sculpture or photography. As a freelance, I cannot afford to have any one favourite subject. One of my best selling bronzes is a baby elephant and many of my commissions, including a recent lifesize, are of dogs. With regards to photography, when I am away covering race meetings abroad I like to sightsee with just my camera phone, as that format offers a completely different challenge in terms of composition and so on, with the benefit of being less conspicuous, which is ideal for street photography. Anyone who follows me on Instagram or Facebook will also spot I have a fascination for trees – probably from growing up in that wood! HR: What do you credit for your respect/love of horses? Do you ride horses and what discipline? DB: My grandmother introduced me to horses. Her cousin lived in the same village and he bred and owned a champion racehorse in the 1960’s. He was the first horse I ever met and taking him pears in his retirement was the highlight of my visits during the holidays. She would also have made a good jockey’s agent as she always had a pony lined up for me to ride when I stayed, but I have never had the opportunity to compete or have my own horse. HR:What career path brought you to the UK’s Arabian Racing Organization? DB: Racing has always been part of my life. At school I spent my weekends working at a local stud farm and then spent two years studying horse racing and breeding as part of a business and finance management course which took me to America for the sales and led to becoming a Stud Secretary for a while. I also wrote form studies and tips for the website, one of the satellite racing channels Attheraces, for around four years, covering all the major UK events such as Royal Ascot, the Epsom Derby and Grand National. The relationship with ARO began when I had been out of racing for a while and was looking to find a part time job to work around my sculpting. They were advertising for an office assistant for a couple of days a week and though that position only lasted three months, they kept me on as a freelance writer. The photography aspect arose as I was taking my own photos to illustrate the features I had written, and it just developed from there. Obviously that first nomination for the HH Sheikha Fatima bint Mubarak Award spurred me on to take it more seriously and I now have had my work published in numerous magazines around the world. I have been lucky enough to win two Dubai International Arabian Races writing awards as well and I invested the prize money in sculptures and photography equipment and started my own digital magazine, The Arabian Racehorse, primarily to support Arabian racing in the UK. HR: What is your favorite part of working with the ARO group? DB: Being able to visit trainers, owners and breeders at home, which is a more relaxed environment than on race days is undoubtedly the highlight. Now is the time of year I try to get round and see the new horses that will race in the coming UK season. I write all the form reviews in the ARO race cards, so it is important for me to see the new horses and see how the older horses have developed over the winter. It is also very social and I am very grateful for the access and friendship of all the connections, both here and abroad. To be around quality horses, take pictures and just talk horse is a dream come true. HR: What is the least favorite part of your day? DB: The traffic in the UK is a trial, often even allowing an extra hour to get to the races is not enough these days. Un-photogenic backgrounds don’t help, but it is up to you to do your best, lowering or raising your position or moving to a different place in the track can help. Wifi connectivity can also be a challenge, but these are all First-World-Problems. I have food, water and a roof over my head so I am happy. HR: Budding photographers will want to know – What is in your photographer’s bag? DB: As you develop your skills and your workload, so the camera bags expands! I started off at school with a very basic Praktica film SLR, with a 50m, a zoom and wide angle lenses and though I now have Canons, it’s much the same set up. For racing I have two bodies, one with a 70-300mm for most of the track shots and then another with a 24-105mm for closer work, particularly in the winners circle where space is limited, though you have to be wary of distortion. Both are L series lenses and I bought those before spending more on the bodies. Even though I have now have both a 5DmkII and a 1D mkIV I still prefer the 7DmkII because it is lighter. They all give slightly different qualities to the end image. Cameras are so good nowadays that it really doesn’t matter that much what brand you have. With editing software such as Photoshop or Lightroom you have more options for image enhancement and I also love Instagram too. Just get a camera and start taking pictures, it is the ability to see and frame a shot, not what you are using to take it that counts. HR: How do you relax? DB: By making a career out of my passions, the window to relax has diminished, but I appreciate that I am lucky enough to have the talent to make that jump. I find it extremely difficult to go racing without my camera, so the IPhone has become a security blanket to stop me fretting about a missed image. Because I am self-employed I don’t have structured time off like most people do, so having my dog to walk does get me out of the office at least three times a day. When I have the opportunity, sharing a meal with friends is the greatest pleasure. HR: What is the last book you read and when? DB: Sadly I don’t get the luxury to sit and read a book cover to cover as I did as a child. Recently I read ‘Foinavon – The Story of the Grand Nationals Biggest Upset’ as it is 50 years since he won the National and we had a celebration in the village where I live as the horse was trained and is buried here. I have just finished re-reading ‘Just Kids‘ which not only describes the relationship between Patti Smith and Robert Maplethorpe, their creative journeys and artistic struggle, but also a fascinating time in New York in the 60’s and 70’s. Currently I am reading ‘The Mask of Dimitrios‘ a thriller written in 1939 by Eric Ambler. I like diverse subjects! HR: Can you tell us something we may not know about you? DB: My cooking skills were given the ultimate challenge when I took over running a restaurant in a country pub for six months. We had lunch and dinner menus, as well as shooting lunches, weddings and Christmas parties, so I have solo cooked for one to a hundred people. What made it harder was the fact that I was also still writing form studies for Attheraces at the time, so I would doing morning food prep, until 10am when the declarations came through, stop, write up my races til lunctime, do lunchtime service and then finish my races by the copy deadline of 6pm and then resume evening service. It was hard work, but paid for my first car! HR: Is there a new country you have not been to that you wish to visit? DB: Horses have taken me off the beaten track on a number of occasions, riding on the beach in Tunisia would be a highlight, a fairly tense visit to Turkmenistan not so much, though the native Ahkal Teke horses were beautiful. There are so many places that I would like to see racing including Australia, Japan and Hong Kong for the big meetings, which I hope to achieve in time and of course more of America than Lexington where I worked, and our visits to California with the HH Sheikh Mansoor Festival. Ironically, I have always wanted to see Morocco and nearly went a few years ago, so obviously I am looking forward to the forthcoming World Arabian Horse Racing Conference next month. HR: Where do you see yourself in five years in your career path? DB: Put simply I just want to write and take pictures and to keep improving my work, so the natural progression is to produce a book, which I am slowly putting together. You don’t retire from being creative and creatively is rarely limited by age, as you just find a way around it – Monet’s famous Waterlilly paintings were the result of poor eyesight from cataracts for example. My mother said very early on that she knew I would never be a ‘nine to fiver‘ and the creative path is one that has no end, fortunately!